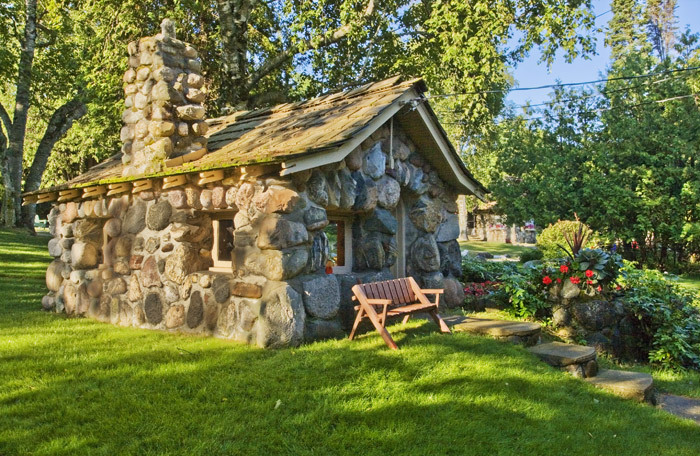 The playhouse, complete with a working fireplace, is a scaled down version of the main house. Young built it for his three daughters and their friends to play in while he worked on the main house. Photo © copyright by Mike Barton.